Information theft (often leading to identity theft) is becoming easier and easier as private information is more commonly shared across the internet and stored by businesses. A place where sensitive information is especially at risk is the workplace. From internal employee information such as social security numbers to customer data such as addresses and credit card info—there is plenty of private information stored digitally and on paper that is handled on a daily basis by dozens to hundreds of employees. Keeping this information restricted and secure is the job of the employer—a job that is mandated by certain governing bodies with serious implications if they neglect to do so. With so much data, and so many access points to this data, security must be well-rounded, thoughtful, and an ongoing priority. Knowing how identity thieves operate can help in recognizing a situation and fending off the offenders. Some of the more common tactics of identity thieves and hackers are outlined below. One of the oldest and most common ways of gaining confidential information is through social engineering. Social engineering is a subtle way for criminals to find out personal information by acting as an authority or other trusted figure, lowering the victim’s inhibitions, and deceiving them into revealing bits of data that they can later compile and use for identity theft. Often times, social engineers will call their prey on the phone and act as security personnel at an established company, such as a bank. Then, they will inquire about the victim’s passwords or other personal information that can help them access their accounts. Have you ever come across an email indicating that your password has changed or an account has been logged into on a new device? Maybe you received this email even though you don’t recognize this activity. 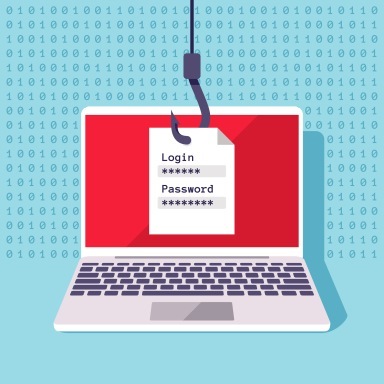 This is a common form of phishing: attempts by hackers to get you to divulge passwords or other personal information using a fake form, email, or web page. With visual hacking, information is simply obtained from data that is left out in public view. In the workplace, this can include unlocked computer screens or papers left sprawled across desks. The message here is clear: ensure employees clean up their work stations and don’t leave any information out in plain sight. No area is out of bounds for the dedicated identity thief, and this includes trash cans and dumpsters. If your company disposes of sensitive data in the trash without a proper destruction process set in place, you are opening yourself up to dumpster divers who can retrieve these items—and its all legal. Set up a company-wide mandate with clear instructions on how to handle sensitive information including a protocol for document destruction. Educate and train your employees on the dangers of identity theft and the ways in which information can be stolen. This may include methods such as social engineering, phishing, visual hacking, and even dumpster diving. Only allow access to sensitive data of customers to employees when it is crucial to their line of duties. Free reign on all company information is the easiest way for data leaks and misconduct to occur. 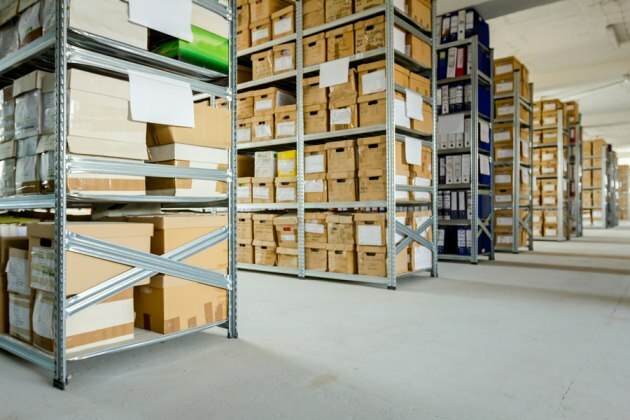 Keep confidential documents that are not compulsory to day-to-day operations in locked storage rooms or in an offsite records storage facility. Set up locked shredding bins around the office, giving employees a quick and convenient option to dispose of sensitive documents immediately rather than stockpiling them at their desk or workspace. Ensure that any digital files and databases are secure and encrypted. An easy way to ensure that any and all documents containing sensitive data aren’t leaked or stolen is to utilize a shredding service. Large corporations have been using regularly-scheduled shredding services for decades and smaller companies are following suit. Shredding services can be done both on and offsite. With mobile shredding, a truck equipped with an industrial shredder performs all shredding when and where you need it. This is also a perfect solution for those who need to witness the document destruction in person. For offsite shredding, locked bins are stored at your location where employees can place papers that need to be destroyed. A truck comes to pick up your papers where they are taken to an offsite shredding facility for destruction. Shred Nations is the only marketplace for residences and businesses to connect with locally-based and operated shredding service professionals. Our nationwide network of shredders are experienced in handling any size shredding job on any schedule. To get quotes completely free with no-obligation required, give us a call at (800) 747-3365 or fill out the form on the right.